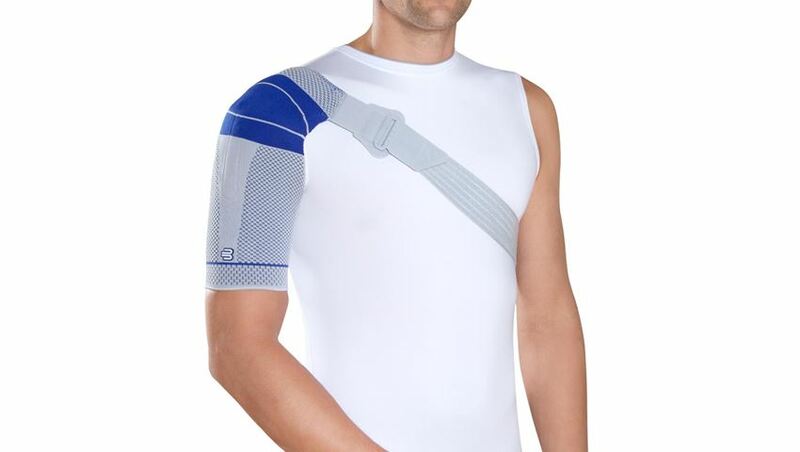 Bauerfeind® OmoTrain® S Three-dimensional active knit provides medical-grade compression to reduce swelling and relieve pain. 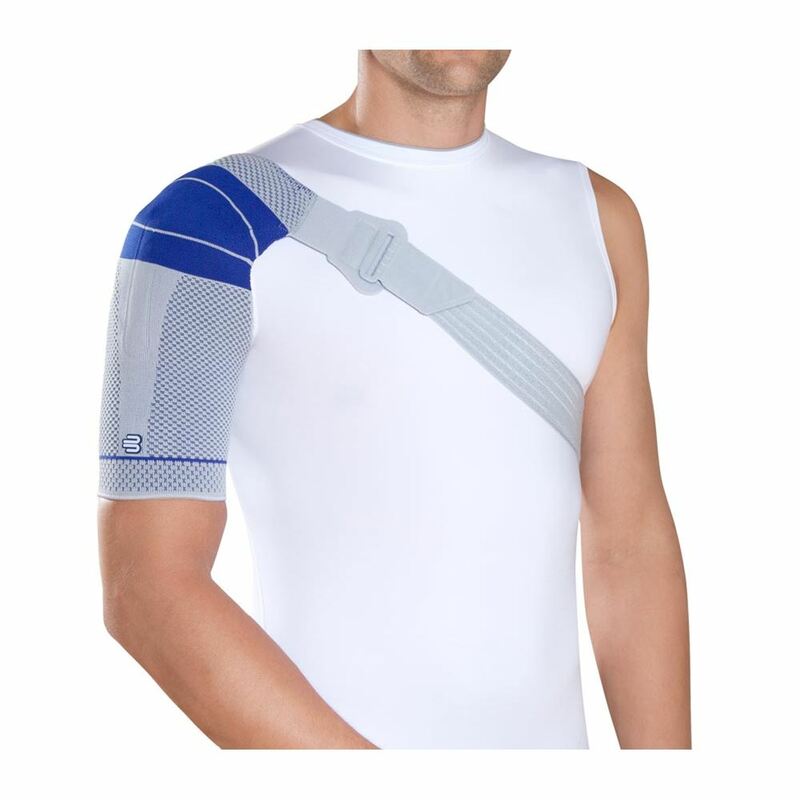 Strap holds it in position over the shoulder and allows for quick and comfortable application and removal using the VELCRO®-brand fastener. Delta insert with frictional nubs provides targeted compression. Specify left or right when ordering for optimal fit. Machine-washable. Titanium color. Sizing: Loosely measure circumference of bicep. Size 0 fits 7-3/4" to 8-1/2"
Size 1 fits 8-1/2" to 9-1/2"
Size 2 fits 9-1/2" to 10-1/4"
Size 3 fits 10-1/4" to 11-1/2"
Size 4 fits 11-1/2" to 12-1/2"
Size 5 fits 12-1/2" to 14-1/4"
Size 6 fits 14-1/4" to 15-3/4"